Look at this pretty card made with the Stylish Christmas stamp set. This stamp set is part of the Distinktive line of stamps. Ink the image once and get two shades of color. Here's the instructions for my card and an embossing tip! Score 4-1/4" x 11" Blackberry Bliss card stock at 4-1/4" to create a card base. Attach 4" x 5-1/4" Gray Granite card stock to the card base. Attach 1/2" x 5-1/8" Frosted Floral Designer Series Paper to the card. Run an embossing buddy over 3-1/2" x 5-1/8" Whisper White card stock. This is prevents the powder from sticking to your card stock so that only your image will be embossed. Stamp the greeting with Versamerk ink. 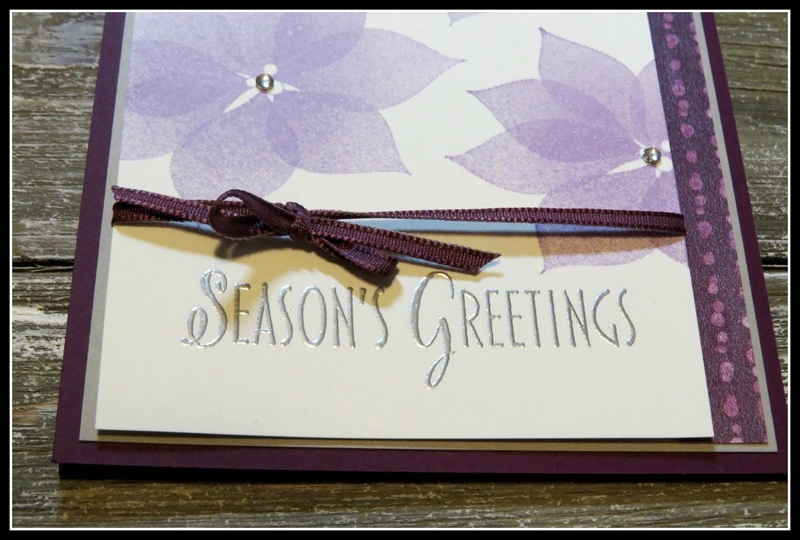 Emboss with Silver embossing powder and the heat Tool. Stamp the poinsettias with Highland Heather ink. Tie Fresh Fig 1/8" Sheer Ribbon around the card stock and into a bow. 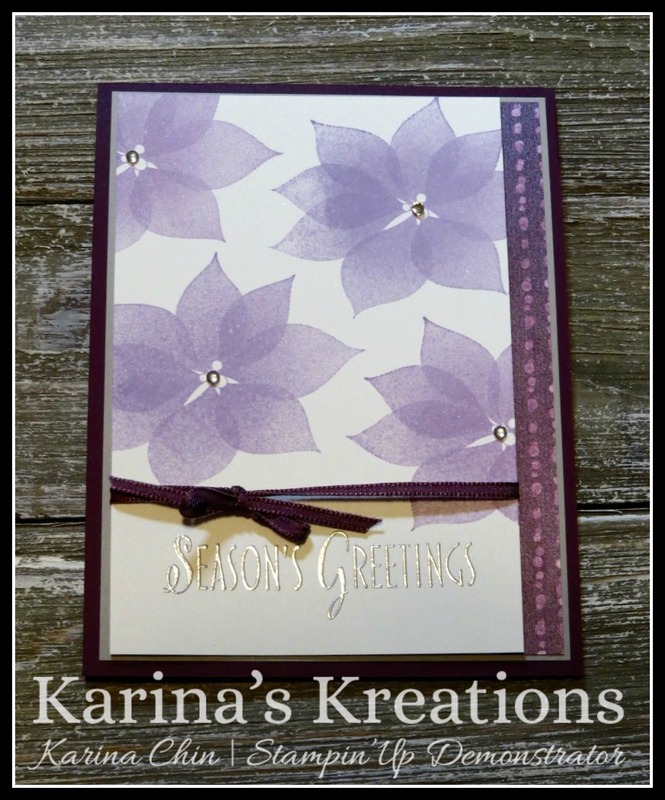 Attach the white panel to the card using Stampin' Dimensionals. Add Rhinestone jewels to the card.